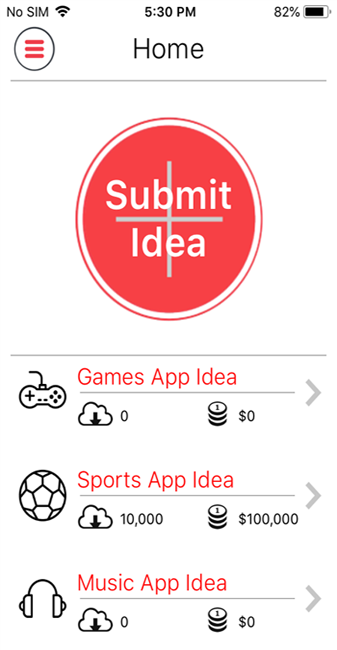 The main objective of the project was to help users to share and sell their mobile app ideas to the world.Anyone can sign in on the app, put their idea out for everyone to look at. And if a developer is interested in the idea, the app connects the client and the developer. There are various models for sharing the idea. iOS App, Wed admin, Laraval, Sendgrid, AWS Load Balancing, Paypal payment gateway, Push Notifications. a) User can chat directly with the developer if he wants to discuss features or the progress of the app. b) Users get notified when a developer buys their idea or sends them a chat message. Location Feature - In profile and sign up, it’s allowing users to know the exact location on the map. Categorized - User can easily choose the predefined categories for his relevant devices. And he can submit his idea based on his selection. FAQ’S - FAQs and help/feedback is also available for customer’s questions. Admin Backend - We have built a robust backend which allows the admin to manage all users, clients as well as developers. We also allowed Admin to chat and navigate the app ideas with his customers on phone. The backend also has a “Track” feature to know how many people have downloaded any idea and how much money they have made!